Gentle Procedures Clinic is the first to offer the Pollock circumcision method in Brisbane, and in Queensland. The Pollock Technique™ provides for a fast and virtually painless circumcision procedure for babies, boys, and adult men of all ages in QLD. Our approach is faster than conventional methods and offers improved cosmetic outcomes. Procedures are done under local anaesthesia only at our Gold Coast and Brisbane circumcision clinics, and we believe we can offer the best circumcision procedure available in Australia, and the world. Gentle Procedures Clinics are located in Gold Coast, Underwood (Logan) as well is in central Brisbane, in Nundah and Bowen Hills. You can find detailed location maps on the Contact page. Doctor Hunt specializes in virtually painless no scalpel vasectomy – with no artificial clips used to close the vas tubes. Your vasectomy procedure will be performed by an experienced doctor with decades of experience. 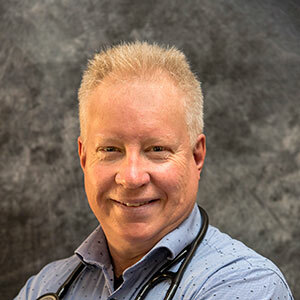 Dr. Hunt has chosen single-puncture, no-scalpel, no artificial clips vasectomy because it offers a faster and less invasive vasectomy surgery, and entails shorter recovery times. Men of all ages can be circumcised under local anaesthetic only in our Brisbane & Gold Coast clinics. Dr. Hunt applies the Pollock method to circumcision for older boys, teens, and adult men of any age. No hospital visit is necessary and our adult clients are circumcised on an out-patient basis with follow-up visits in the days after the procedure. Please visit the dedicated adult circumcision information section of our site for full detail on getting circumcised at an adult age. Contact us anytime and we will be pleased to answer your questions or schedule an appointment. We serve Gold Coast, Brisbane, Sunshine Coast, and all of Queensland from our four Brisbane and Gold Coast area clinics. The Pollock Technique™ is our preferred method because of our commitment to provide world class care.